If India’s opposition Indian National Congress forms the next government, it will seek to dilute strategic aspects of three of the country’s bilateral relationships in the Middle East: that with Saudi Arabia, the UAE and Israel. India’s foreign policy under Prime Minister Narendra Modi has been under relentless attack by the opposition for being centralized, personality-centric and ideologically at variance with that of past governments. The opposition Congress, in its manifesto, has labeled Modi’s policy as “transactional,” “marked by outrageous flip-flops,” and more seriously, “reduced to the whim of one man.” Not only has the party proposed to reorient India’s focus toward its immediate neighborhood and to the southeast Asian nations of Asean (its manifesto does not mention the Middle East or GCC), it also explicitly promises to “reverse the damaging developments” of Modi’s foreign policy. Under a Congress-led government, India’s policy toward Saudi Arabia and the UAE will once again be determined chiefly by the “Kerala lobby,” ie, politicians from the southern state of Kerala whose residents form a majority of the Indian diaspora in the GCC. This has traditionally led to a foreign policy that has precluded an upgrading of India’s relations with GCC countries, viewing them chiefly through the prism of remittances and energy imports. In addition, a Congress party led by its current president, Rahul Gandhi, has taken a distinct turn toward the political left. These factors will combine to effectively kill the Modi government’s efforts to impart strategic content to India’s bilateral relationships with Saudi Arabia and the UAE. The first casualty is likely to be a joint investment plan by Saudi Aramco, the Abu Dhabi National Oil Company and three Indian public-sector oil companies to build a $44 billion refinery on India’s west coast. Since the project has run into protests by farmers reluctant to give up their land, the Congress, which has staked its election campaign on farmers’ rights, is likely to scrap the project or seek to renegotiate its terms in a way that threatens its viability. Similarly, the UAE’s proposed $75 billion investment into India’s infrastructure sector over 10 years is also likely to be stymied under a Congress government. For example, the recently announced joint investment plan by the UAE’s DP World and India’s National Infrastructure and Investment Fund to invest $3 billion in India’s ports is likely to be reversed by a Congress government. While the Congress party’s manifesto welcomes private capital into India’s road and railway networks, it is silent on the issue of ports. Politically, there is consternation in India’s foreign policy circles about the UAE having inserted itself, perhaps unwittingly, into India’s domestic politics on the side of Modi’s Bharatiya Janata Party. The UAE’s extradition last December of an arms dealer to India, wanted in connection with his role in an arms scam allegedly linked to the Congress party, was viewed as a political act. His upcoming testimony could prove damaging for the Congress. Similarly, the UAE’s recent awarding of the Zayed Medal, its highest civilian honor, to Modi amid India’s ongoing election season, has also been seen as providing a fillip to Modi’s re-election campaign. This has created disquiet among the Congress’ foreign policy officials about pursuing closer engagement with the UAE, should the party come to power. Modi’s three-day visit to Israel in July 2017 was unprecedented in that not only was it the first by an Indian prime minister to that country, but that it was not paired with a concomitant trip to the Palestinian territories. In doing so, Modi chose to pursue India’s relations with Israel independently of that with Palestine. While previous Indian governments conducted the bilateral relationship in a business-like manner and under relative secrecy for fear of alienating India’s approximately 200 million Muslims, Modi chose to impart political substance to the bilateral relationship publicly. 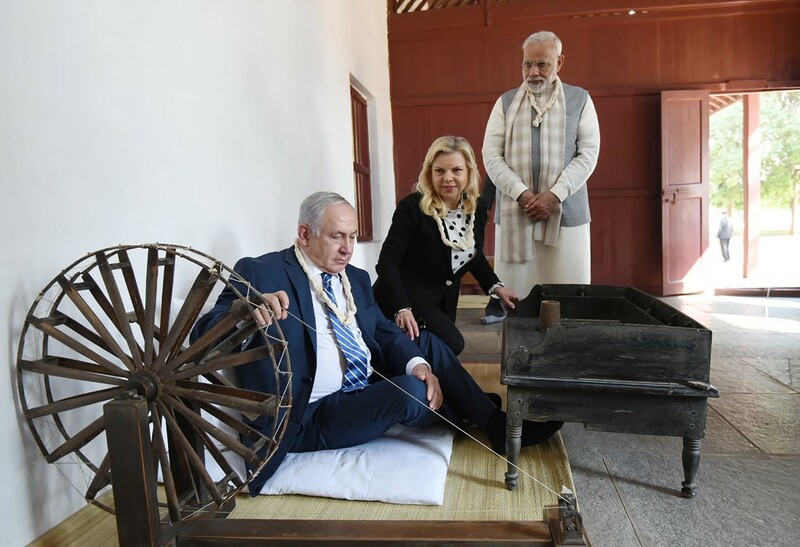 During his visit, Modi and his Israeli counterpart, Benjamin Netanyahu, wrote a joint editorial in which they identified their countries “walking hand in hand into the future as partners.” In comments to the Israeli press, Modi said that to Indians, “Israel is a real friend.” This was done to appeal to his Hindu nationalist base back home, whose brand of Hindu nationalism, or Hindutva, has many parallels with Zionism. Indeed, Hindu nationalists have long expressed admiration for Zionism and Israel, viewing both as a useful template to guide relations with India’s Muslim minority internally and with Pakistan externally. A Congress-led government is likely to dial back the overt political component of the bilateral relationship. As the party of India’s independence struggle, the Congress and its post-independence governments have historically offered solidarity to the Palestinian cause, viewing it as part of the global anti-colonial movement. Given this, a Congress-led government is likely to tone down the volume on India-Israel relations significantly. While continuing to import sophisticated weaponry from Israel, a Congress-led government will drain the relationship of any publicly visible or strategic import. Which party emerges victorious from India’s general elections will only become apparent in late May. Should the Congress lead the next government, there will be a marked dilution in India’s ties with Saudi Arabia, the UAE and Israel. Foreign policy officials in these countries should plan for this possibility.